The University Management had on Saturday 3rd of November come up with University charges of N23,300 a development which immediately led to students’ uproars on social media platforms, collectively kicking against the unappeasable change. Series of official meetings were held yesterday between the students’ representatives and the school management over possible reduction of the University charges, where the latter categorically made it known that the sudden increment could be traced to need of the University to improve its values and productivities by upgrading to a level of recognised academic excellence. Also in the resolutions today, they charged Faculty Executives to be bold and diplomatic enough to meet their respective Deans in negotiating possible reduction of the Faculty charges so that at the end of the whole process, the overall charges would be reasonable and affordable for all students. We however appeal to fellow students to remain calm and optimistic, as the Student Union is working around the clock to ensure that the collective interest of our teeming members is protected and justice is sincerely done without any parochial consideration. 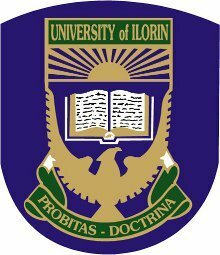 We highly recommend you to Check Schools Gist for all latest University, Polytechnic, college of Education news(Admissions, school fees payment and lot more). DON'T FORGET TO DROP YOUR COMMPLAINTS IN THE COMMENT SECTION AS WE ARE READY TO REPLY THEM ALL.